The recent (Re)imagining Humanities Teaching conference offered a template for the future of teaching in higher education. With its emphasis on teaching as a scholarly activity, the conference challenged participants to find effective ways to document student learning, to build and maintain strong communities around teaching, and to approach courses as perpetual works in progress that adapt to the needs of students. 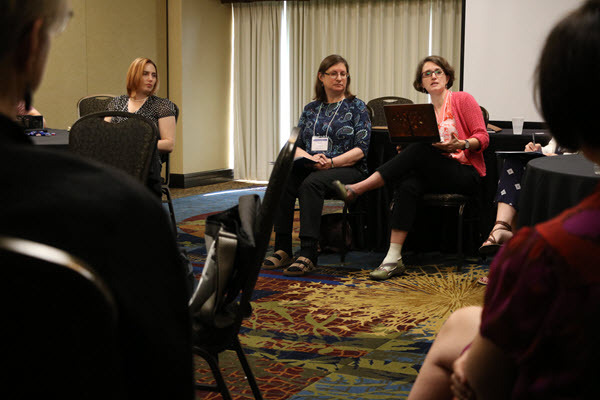 The conference was the final event of the Collaborative Humanities Redesign Project, or CHRP, a three-year course redesign program involving faculty at KU, Park, Rockhurst and Elon universities. 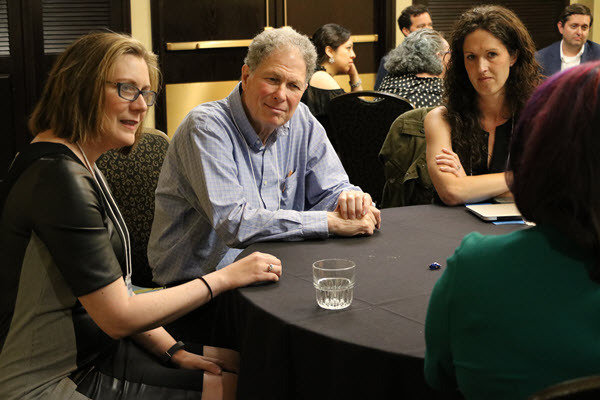 Participants were united in their belief that humanities teaching must change if the humanities hopes to grow in an educational climate dominated by STEM and business. The lessons from the conference apply to STEM fields as much as they do to the humanities, though. The future of higher education depends on our ability to put student learning at the center of our teaching, to embrace innovation and change, and to continually adapt our methods of instruction. It also depends on our ability to change the culture of teaching – not only in our classes but in the way institutions value the work of instructors. So how do we do that? Here are four key elements that emerged from the CHRP conference. Good teaching requires inquiry, evidence and time. Kathy Wise, associate director of the Center of Inquiry at Wabash College, described course transformation as a process of “tuning, processing and iterating.” Many things can go wrong during experimentation and innovation, and rarely do first attempts go perfectly. That can be discouraging, especially when faculty members feel pressure to make changes and move on, largely because the demands of research and service bear down on them. Course transformation isn’t a box an instructor checks off, though. One of the characteristics of effective, innovative teaching is the constant assessment and change of a course. Instructors gather evidence of learning, adapt to students and circumstances, and approach teaching with questions that allow them to learn about their methods and their students. To make course transformation more manageable, Pat Hutchings, a senior scholar at the National Institute for Learning Outcomes Assessment, underscored the value of carefully designed small steps. Don’t bypass large changes if time and resources are available, she said, but an iterative approach can reduce the anxiety of a top-to-bottom course remake and make it easier to persevere when things go wrong. Transforming a class in smaller steps also helps make the work sustainable, Hutchings said. Even small steps take time, though, something that a cash-strapped education system (with an emphasis on “more with less”) and rewards system (with its emphasis on volume of research and above-average student evaluations) generally don’t recognize. If we hope to succeed, we must find ways of giving faculty members the time they need to revise, reflect and gather appropriate evidence. We must learn to teach rather than expect. Deandra Little, director of the Center for the Advancement of Teaching and Learning at Elon University, leads a session at the CHRP conference. To her right are Renee Michael, director of the Center for Excellence in Teaching and Learning at Rockhurst University, and Kathy Wise, associate director of the Center of Inquiry at Wabash College. If we teach rather than expect, we approach our students and our courses with an open mind. We listen to students, scaffold assignments, assign work that checks students’ understanding, give good feedback, and provide structure that helps students move through a course in a purposeful way. Peter Felten, executive director of the Center for Engaged Learning at Elon University, described the process this way: Set meaningful goals. Have students practice, practice, practice. Give them feedback. Start again. Good teaching requires supportive leaders. CHRP’s administrative leaders worked closely with campus leaders, providing “structures to scaffold creative and difficult work,” Wise said. This involved four campuses in three states, and the leaders handled a transition from “hope for organic, self-sustaining engagement” to development of a framework that aided understanding, reflection and change. “Without structure, nothing happens,” Wise said. That structure involves more than being “the project nag,” as one campus leader described herself. Effective campus leaders value and support the changes that faculty members make in their courses. They help promote the work of innovative teaching not only among colleagues but in promotion and tenure committees. They recognize that students often complain about redesigned courses, at least initially, and that lower teaching evaluations are often part of the process of making a course more meaningful. Just as important, effective leaders find ways to keep faculty members thinking about their work in transforming classes by providing ways to share ideas, support one another, and make sure that the work carries on when a new instructor takes over a class. A supportive community improves teaching. Wise and Charlie Blaich, director of the Center of Inquiry at Wabash, focused specifically on face-to-face meetings that members of the CHRP project had, but a supportive community is just as important for faculty members in their day-to-day, week-to-week and semester-to-semester work. We all need colleagues who share our values, who can serve as sounding boards for ideas, and who can provide feedback on our work. Trust is crucial among members of these communities, especially because innovative teaching can leave us vulnerable. That vulnerability helps us learn about ourselves and our teaching, though, because it forces us to challenge assumptions and solidify the basics of instruction (things like scaffolding assignments, systematically reviewing student work, and asking hard questions about what we want students to learn from our courses). When we share our successes and failures, we not only help others learn, but we learn about ourselves. Dan Bernstein, leader of the Collaborative Humanities Redesign Project, listens in on a discussion at the conference. A vibrant community also expands resources and possibilities. Blaich brought up ways that academic disciplines can help or hinder teaching. For instance, a discipline establishes an epistemological foundation for teaching and learning, provides a common language for instructors and students, and helps foster collegiality, he said. 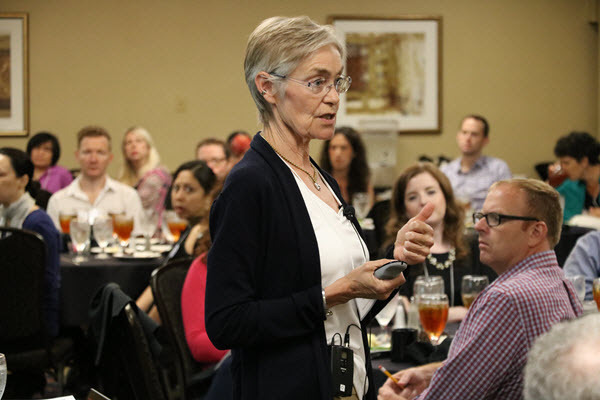 Hutchings said CHRP participants clearly bonded around their identity as humanists, with a focus on narrative over statistics and a tolerance for uncertainty over a search for clear-cut answers. Participants also shared a feeling that they were underdogs in an academic climate that had elevated STEM fields over the humanities, she said. The downside of that disciplinary identity is that inquiry into teaching often leads instructors to questions they don’t have the methodological experience to answer. In fact, Blaich said, moving beyond a disciplinary methodology (using statistics in the humanities, for example) can “seem like a betrayal.” Strong communities can help instructors get over that reluctance, though, he said. Indeed it is. It’s about the future. Tagged course redesign, engaged learning, evidence-based teaching, reflective teaching.